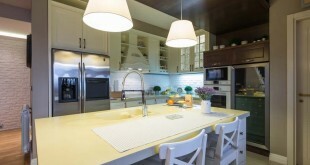 Most families spend a lot of time in the kitchen and bright, white kitchens feel more open and airy than other designs.  These examples show what lighter colors can do for the U-shaped layout. This U-shaped kitchen is rather spacious as it is, but lighter colors work nicely to make a smaller space feel big and open and natural light is never a bad thing in any kitchen. 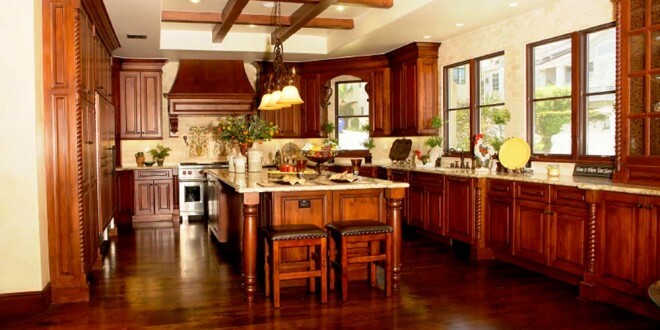 This kitchen looks like something a professional chef would love. 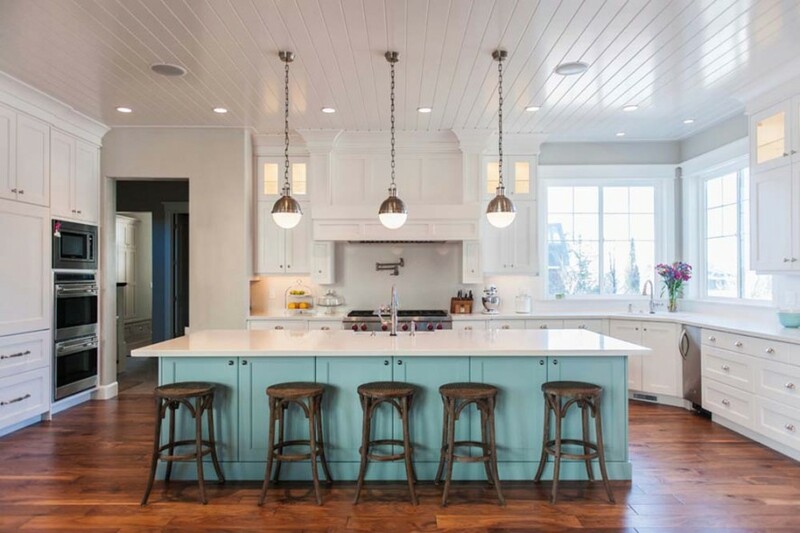 The light colors make it look shiny and sterile and the center island features plenty of light to make a good workspace. The U-shape does not have to include right angles. This example has more of a curved shape that makes the room flow nicely around the corners. 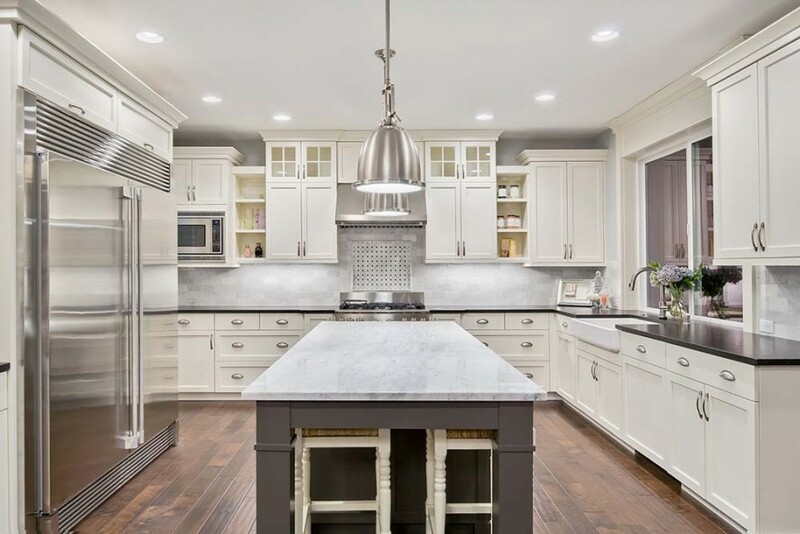 Some kitchens with this layout are long and narrow, but this wide example gives the cook plenty of room to move between appliances and the island. The more open design allows space for several people at once. Not all U-shaped kitchens have room for a center island, but it is a great central location for the sink and dishwasher in many designs. 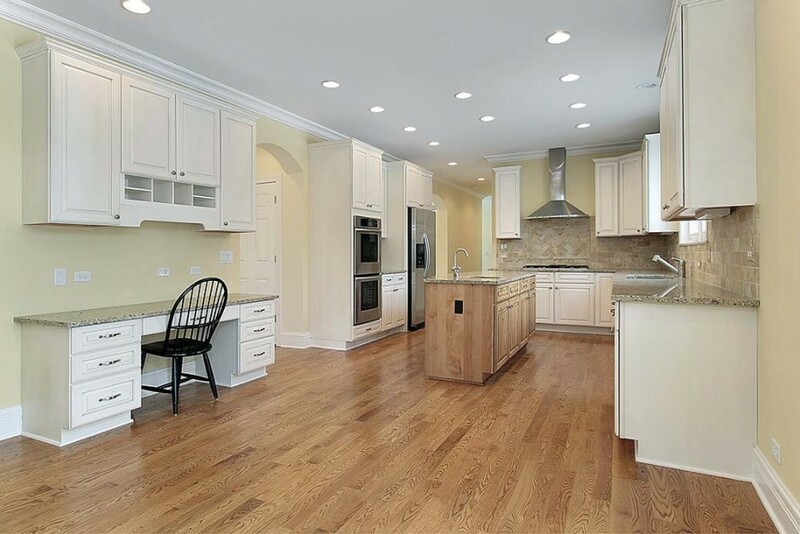 The appliances in this example are nice and spread out, but they are still easily accessible. 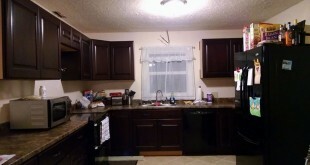 The darker island helps to set off the light colors in the rest of the kitchen. 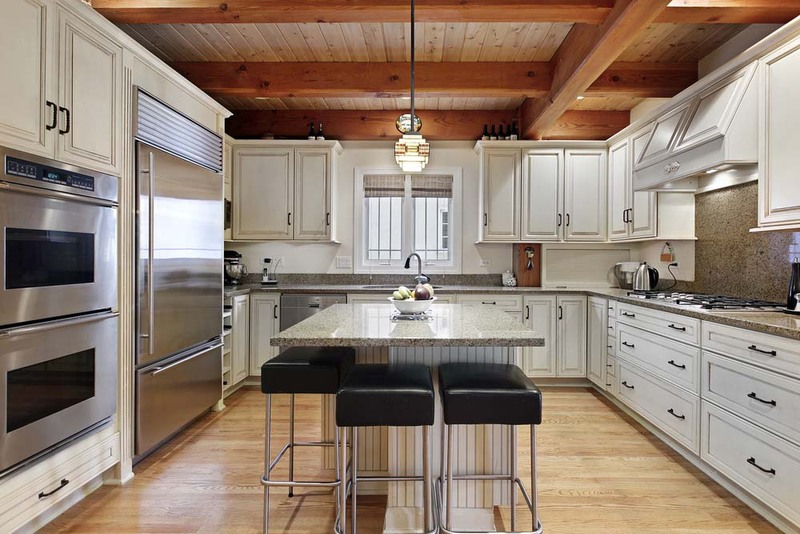 This U-shaped kitchen has more of a square feeling to it and the under the cabinet lights help illuminate the light colors in the room without the need for natural light. 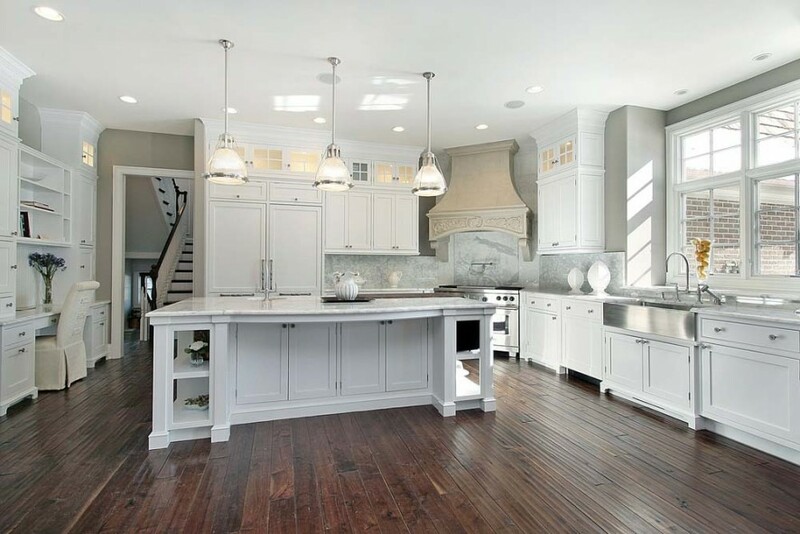 Light colors in a U-shaped kitchen help the area to feel nice and open even if it does not have a lot or any natural light. 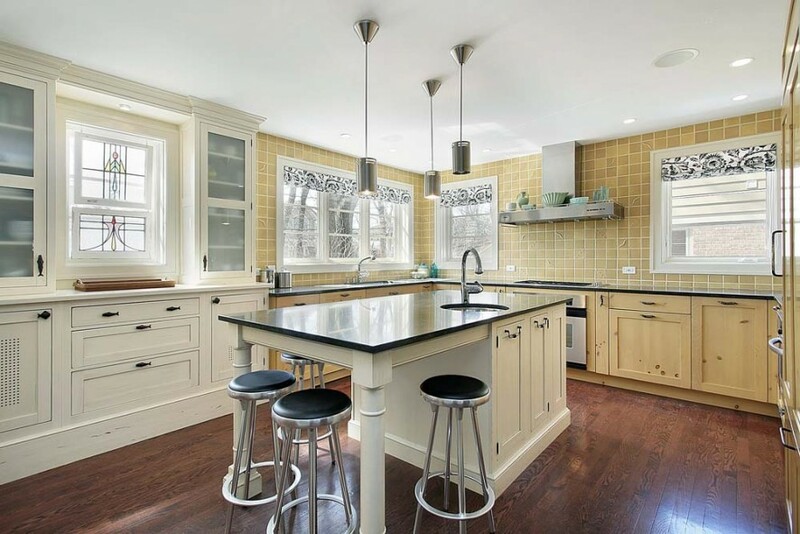 This long and narrow U-shaped kitchen does a good job of separating the kitchen from other areas, but also allows the cook to remain a part of the conversation when others are nearby. 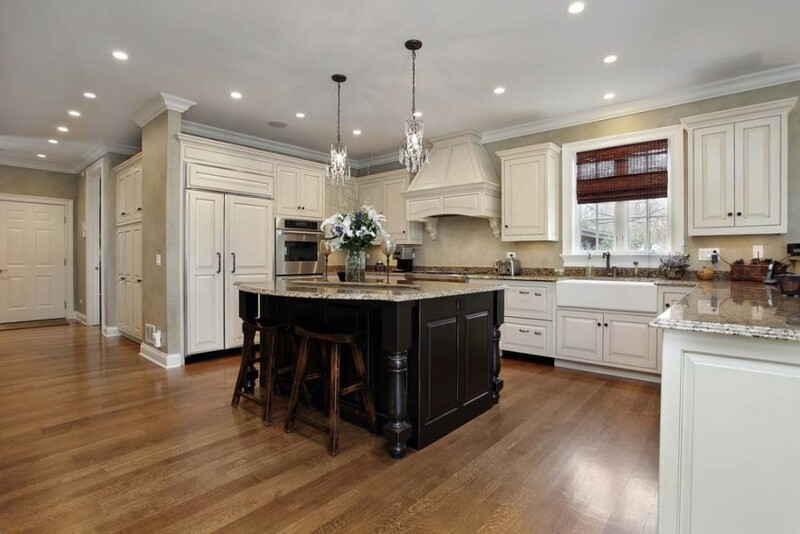 Some U-shaped kitchens are too small to allow room for an island, but this spacious example makes good use of the extra floor space by adding a dark island to set off the light colors and add to the counter space. 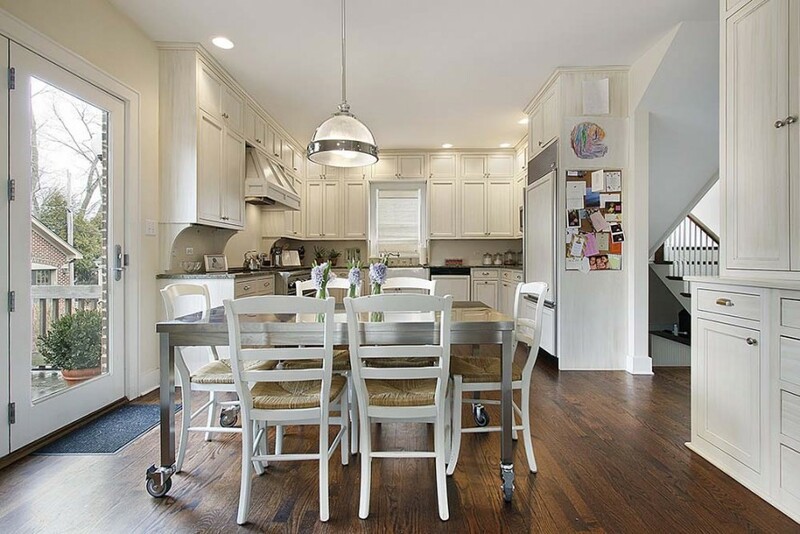 This space is longer and narrower, but it fits all of the elements into convenient locations. 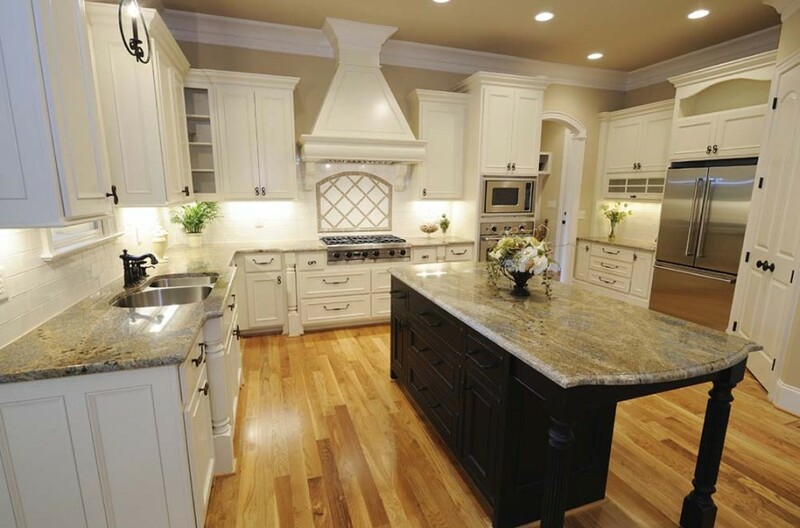 The island is often a great place for a sink and dishwasher since it is centrally located in a U-shaped kitchen. 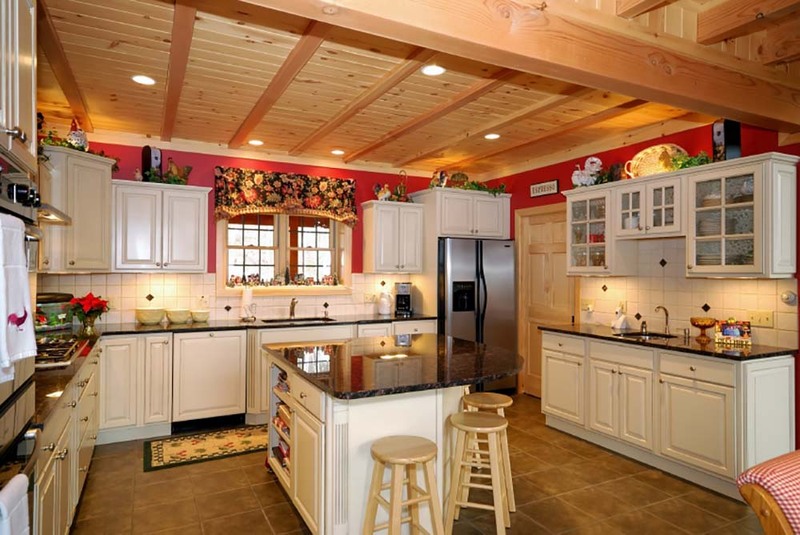 Some U-shaped kitchens would look ordinary without color and design elements. 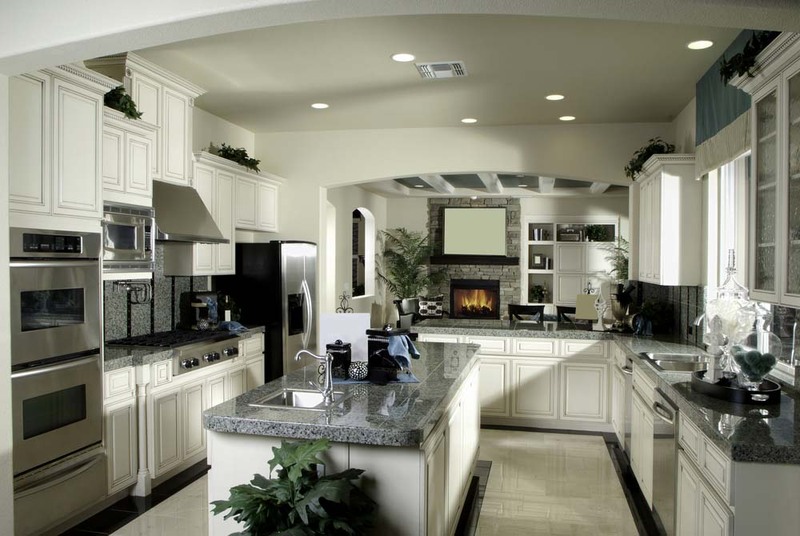 The white and dark contrasts in this kitchen makes it stand out and shine, even though its layout is ordinary. 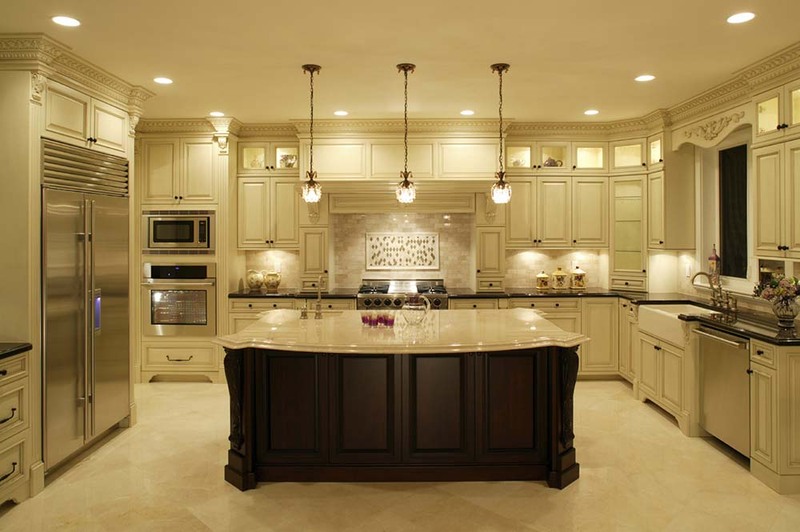 Lighting is important in any kitchen and natural light is always a good thing. 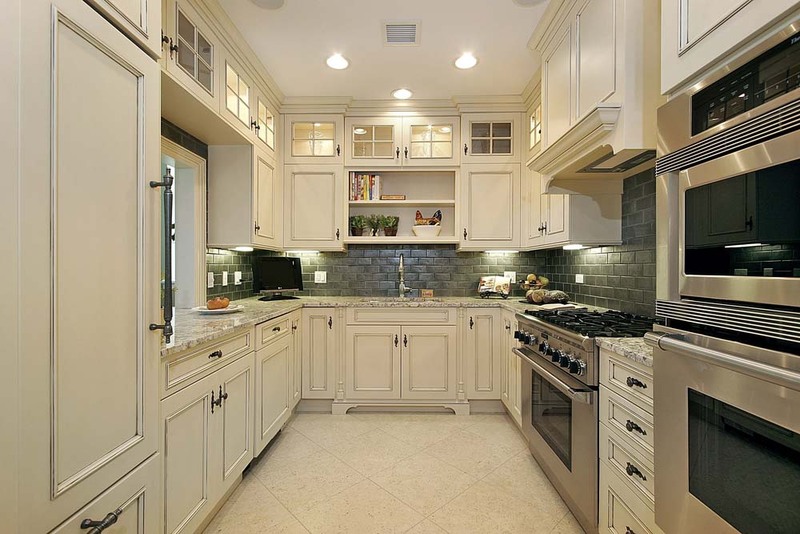 This layout also allows counter space between important appliances so there is always room to set needed items. 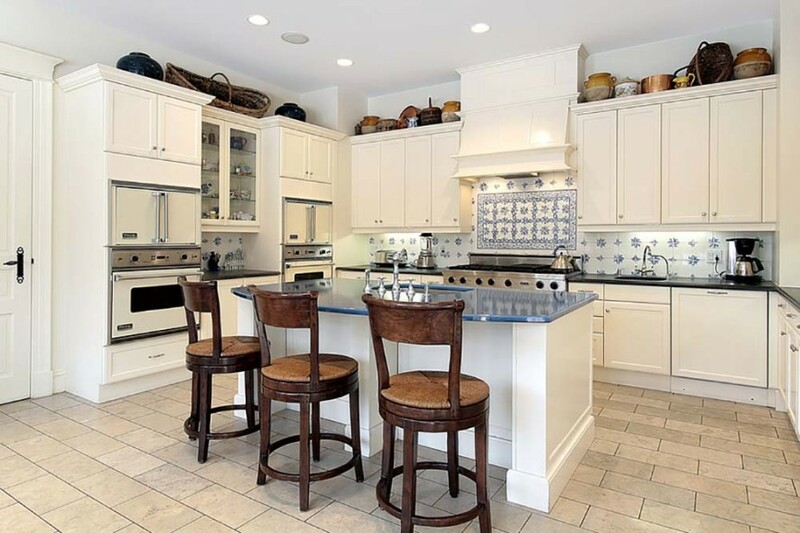 This kitchen feels a bit more closed off and secluded from the nearby dining area, and yet it is still close enough that the cook is never excluded from family conversations. The U-shaped kitchen can have or not have a center island. 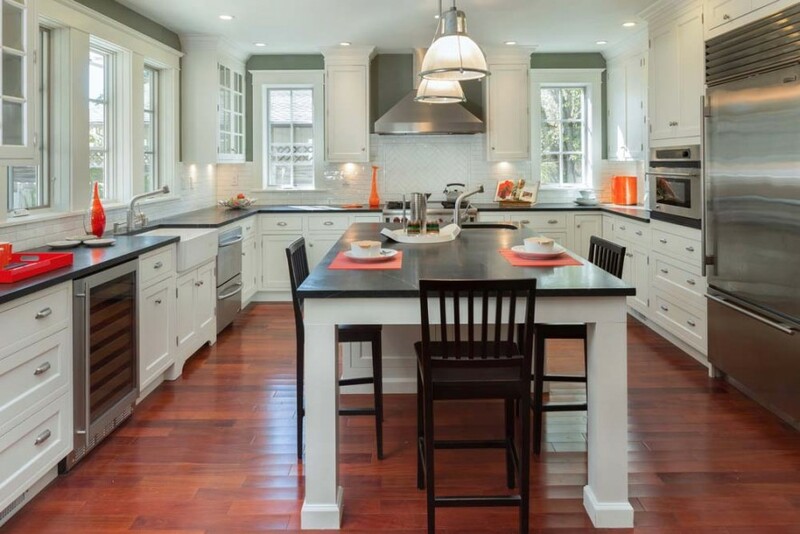 In this spacious example, the island is a good use of otherwise wasted floor space. 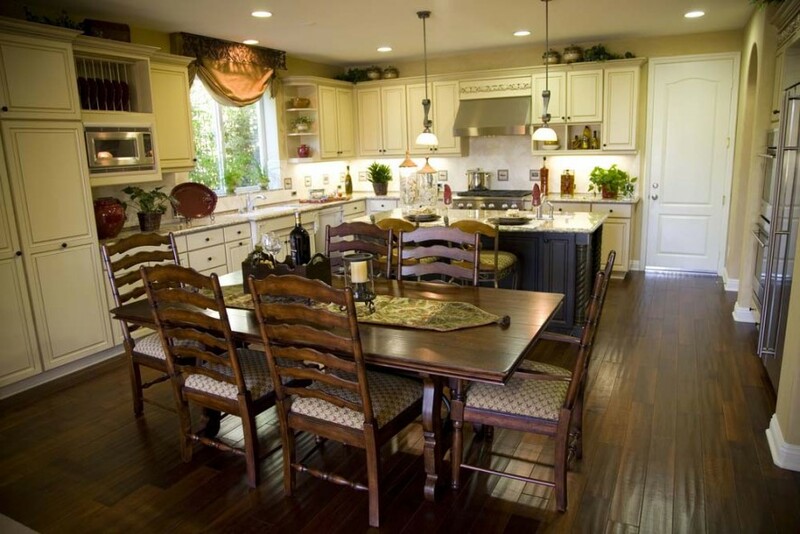 It adds counter and work space as well as a possible casual seating region. 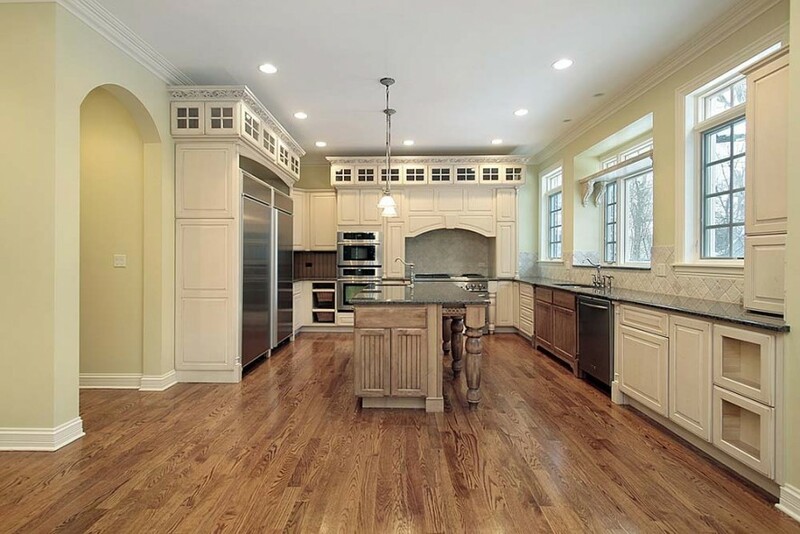 This U-shaped kitchen breaks up its shape with a doorway. This changes the pace between the kitchen and the desk area with ease. 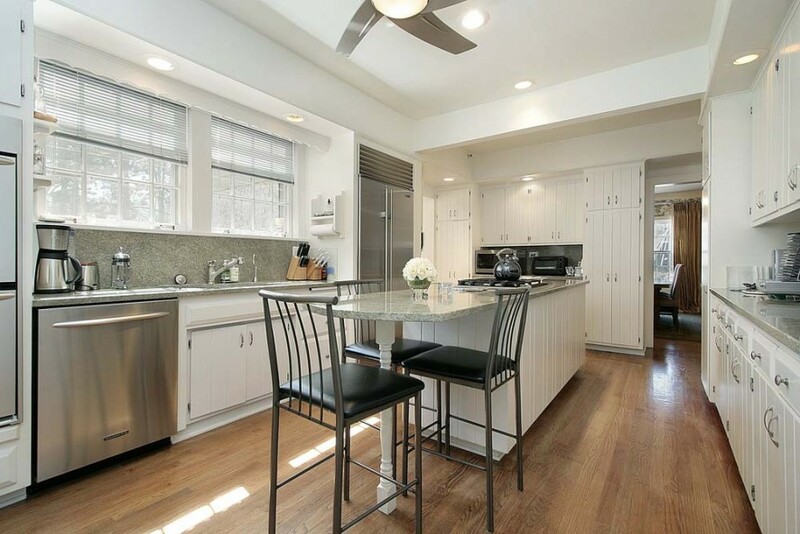 This long, narrow kitchen does not have space for an island, but it is easy to move between the important appliances without having to go far. 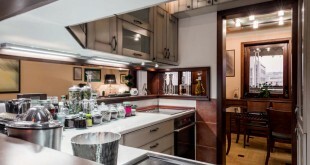 Many U-shaped kitchens can still feel wide and open when the important areas are spaced out nicely. It takes a few extra steps to get around in this kitchen, but there is more room for other people at the same time. 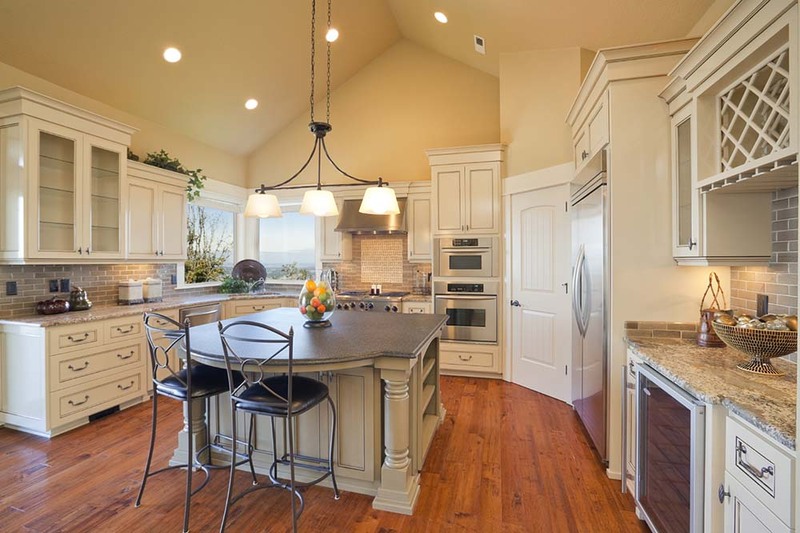 The wide open space in this kitchen makes it feel even larger than it is. 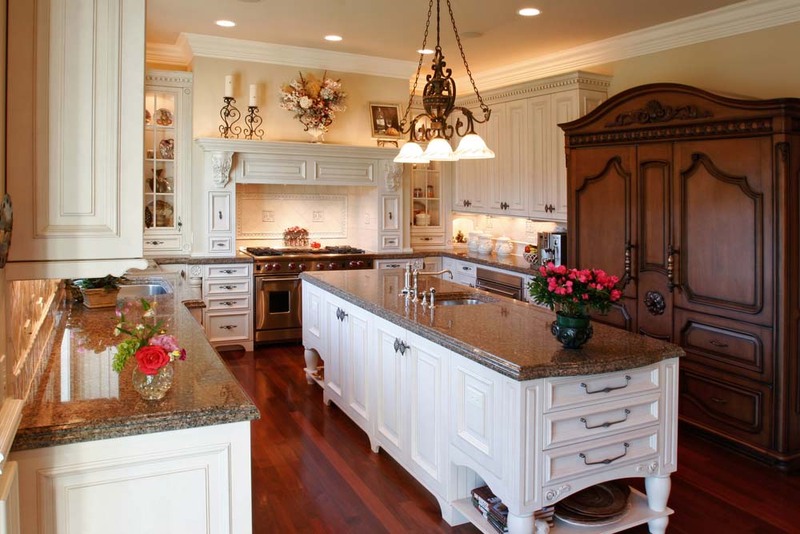 The center island is a great way to use floor space that would otherwise be wasted. This longer, narrower U-shaped kitchen features a long, narrow island to echo the design of the rest of the room. 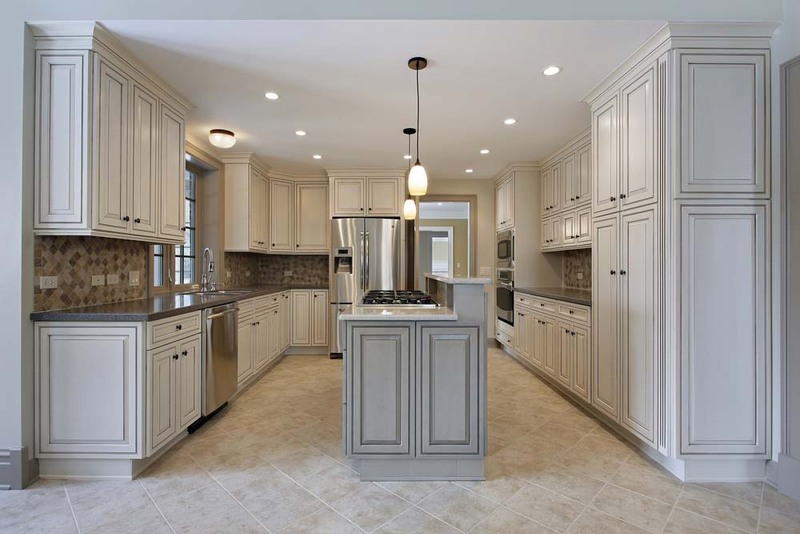 The appliances line one wall while the majority of the counter space lies in the center island and on the counter at the other side of the room. 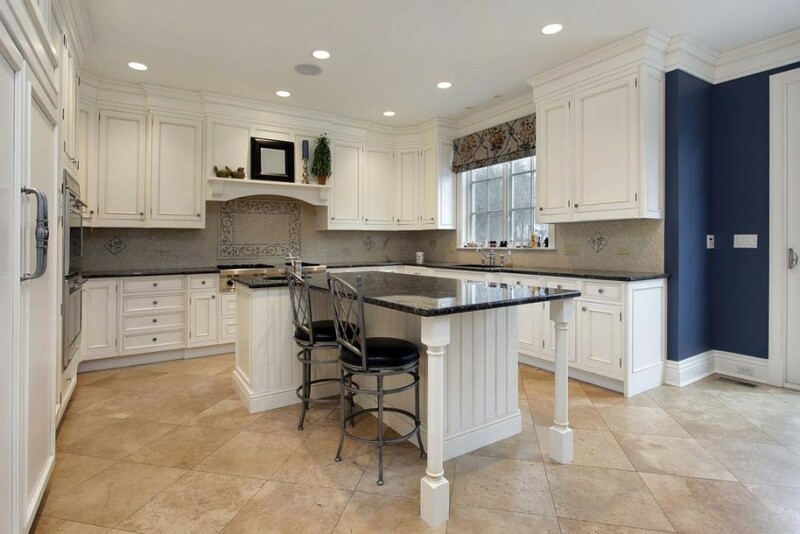 Many U-shaped rooms do not have enough space for an island, but this example is large enough for a functional island that can even act as a casual sitting area when needed. 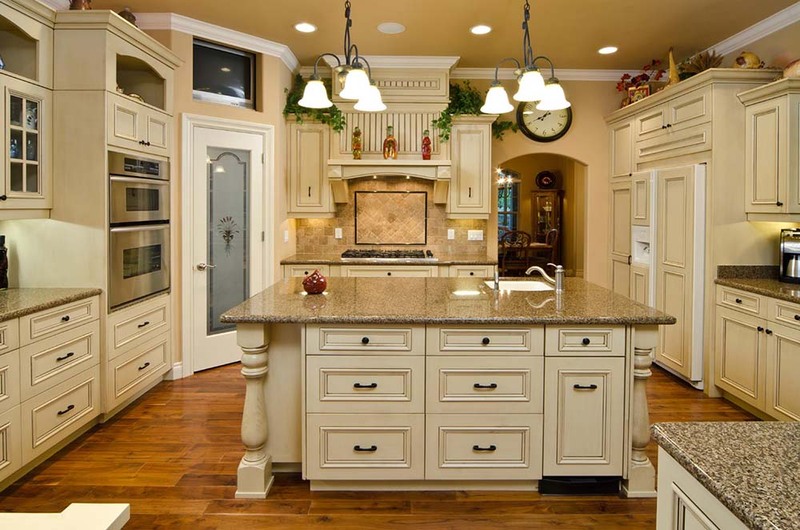 Islands are functional portions of U-shaped kitchens, but when planning the layout, make sure they would not get in the way of the way you would move around the kitchen to get to the important areas. 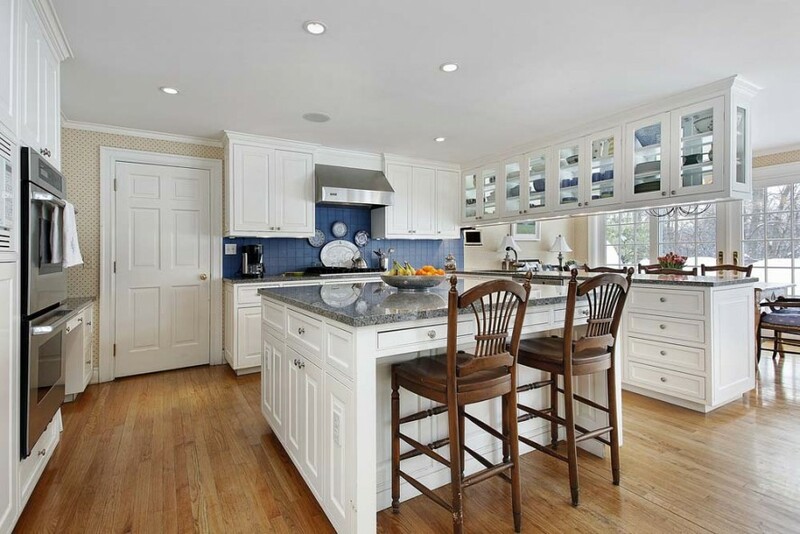 This kitchen features a dining area right on its edge. It is far enough away to keep family members at bay, but close enough to keep the cook included in all relevant conversations. 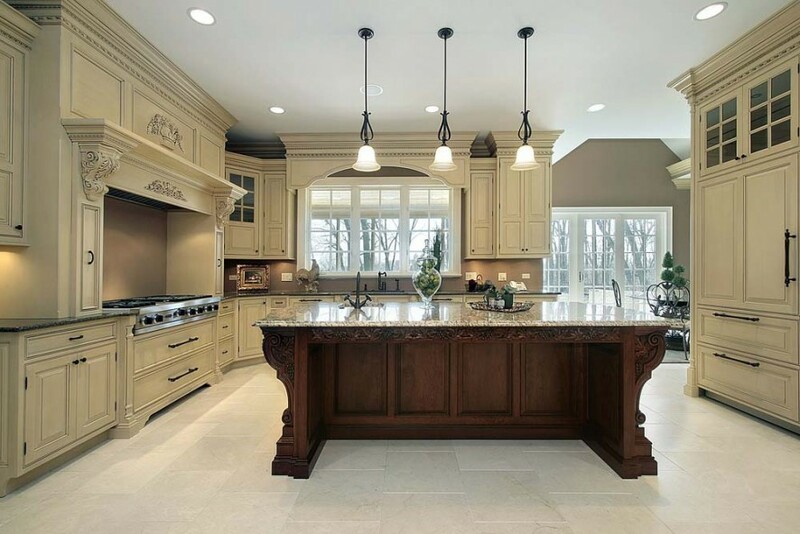 This kitchen has almost a square shape and feel because of the island in the middle of the room. 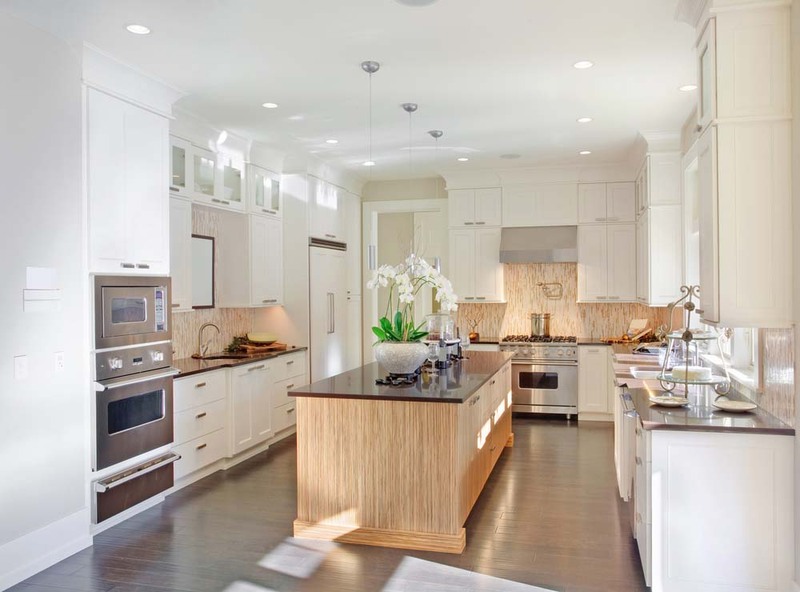 The island in a U-shaped layout can make a huge difference to the overall look of the space. U-shaped layouts often have plenty of upper cabinet space and adding an island can give extra seating, storage, or counter space as well. This long, narrow U-shaped kitchen spaces the important appliances up and breaks the room in the middle with a functional, contrasting island.